Many cigar enthusiasts consider the famous Ashton brand in a class of their own, and they have set a standard of excellence that rivals the finest brands in the world. This 5-pack Ashton Sampler is a collection of some their most popular and highly rated blends. You will never have to go without the perfect smoke once you dive into this gift box of superior sticks. Your toughest choice will be which one to choose first! *8-9-8 was very good * Maduro was awful, lousy burn, poor draw, terrible taste, couldn't keep lit * VSG robusto, excellent! 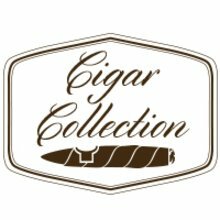 *Cabinet and Heritage were nothing special One would expect much more from these high priced cigars. My advice is to skip this sampler and go for the all Ashton VSG 5 cigar sampler. I like the Rosa Cuba for all the reasons below.. just got a bundle of 20... finished off some, shared some, hopefully send some new likers .. a friend shared out of his stash from another purveyor.. i’m Not much into “fat” cigars.. prefer the slimmer Long ones..
One of the best arrangement of very fine cigars on the market, bar none.